Next month, voters in seven states will get the chance to approve or reject a number of far-reaching marijuana proposals. 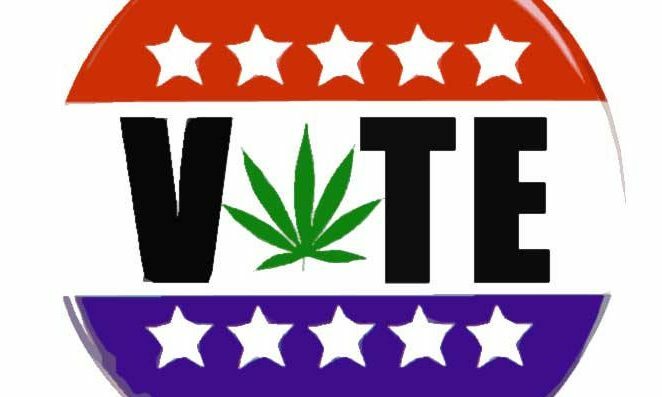 But one thing many people don’t realize is that you don’t have to wait until November 6 to make your voice heard: many states allow for early or absentee voting, and people across the country are already voting on cannabis initiatives today, as you read this. Before getting into the specifics, an important aside about voter registration deadlines: They’re coming up hot. You can check your state’s registration deadline here. OK, back to early voting on cannabis. Marijuana Moment compiled a list of each major state and local marijuana-related initiative that will appear on ballots. They range widely—from proposals to fully legalize cannabis in Michigan to amending the definition of industrial hemp in Colorado—and some will only go before voters in specific cities or counties. There’s a lot of information to review before heading to the polls, but fortunately, there’s still about a month to go. But for those who are eager to make their votes count sooner rather than later, many places with cannabis questions provide ways to cast your ballot early via mail or in-person before Election Day. A proposal to amend the definition of industrial hemp under the Colorado constitution. *A county clerk “must begin issuing mail ballots to any eligible elector who requests one in person at the county clerk’s office” by this date. Otherwise, mail ballots will be sent to voters between October 15 and 22. A proposal to fully legalize marijuana for adult-use. Three competing proposals to legalize medical cannabis. *Missouri voters must qualify for absentee voting. Individuals must either be physically incapable to vote due to illness or disability, planning to be out of town on Election Day, in jail awaiting trial, have a conflicting religious event, have been appointed to work an election official or currently involved in a confidentiality program due to safety concerns. Early voting begins: Counties may begin offering early voting as soon as October 22. Consult your county’s election office, as start dates vary. Proposals in six municipalities across Ohio to locally decriminalize cannabis. A proposal to legalize medical cannabis. Absentee voting begins: For military and oversees residents, mail-in ballots will be sent out by September 22. Other mail-in ballots will be sent out by October 16. Absentee ballot applications must be submitted by October 30. *Be sure to check your county’s early voting poll dates here. Non-binding advisory questions in 16 counties asking voters to weigh in on medical or adult-use cannabis legalization. *The bulk of Wisconsin municipalities allow for early voting starting September 22, but there’s no statewide timeline so check with your municipal clerk to confirm. The University of Wisconsin maintains a list of updated early voting dates here.